How do we determine whether Equity Lifestyle Properties, Inc. (NYSE:ELS) makes for a good investment at the moment? We analyze the sentiment of a select group of the very best investors in the world, who spend immense amounts of time and resources studying companies. They may not always be right (no one is), but data shows that their consensus long positions have historically outperformed the market when we adjust for known risk factors. Equity Lifestyle Properties, Inc. (NYSE:ELS) investors should pay attention to an increase in enthusiasm from smart money of late. 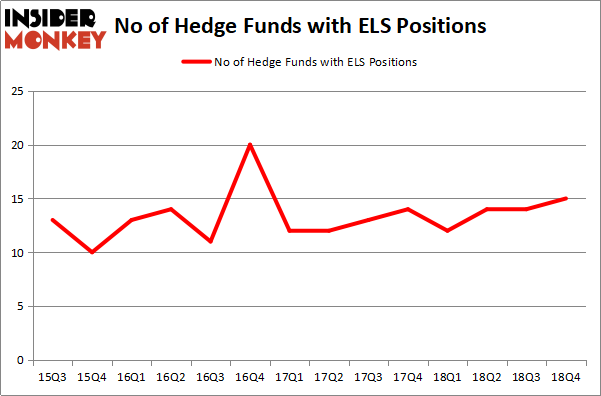 Our calculations also showed that ELS isn’t among the 30 most popular stocks among hedge funds. Let’s take a look at the key hedge fund action surrounding Equity Lifestyle Properties, Inc. (NYSE:ELS). How are hedge funds trading Equity Lifestyle Properties, Inc. (NYSE:ELS)? At the end of the fourth quarter, a total of 15 of the hedge funds tracked by Insider Monkey were long this stock, a change of 7% from one quarter earlier. On the other hand, there were a total of 12 hedge funds with a bullish position in ELS a year ago. So, let’s review which hedge funds were among the top holders of the stock and which hedge funds were making big moves. According to Insider Monkey’s hedge fund database, Renaissance Technologies, managed by Jim Simons, holds the number one position in Equity Lifestyle Properties, Inc. (NYSE:ELS). Renaissance Technologies has a $340.2 million position in the stock, comprising 0.4% of its 13F portfolio. Sitting at the No. 2 spot is Jeffrey Furber of AEW Capital Management, with a $53.8 million position; the fund has 1.7% of its 13F portfolio invested in the stock. Remaining members of the smart money that hold long positions consist of D. E. Shaw’s D E Shaw, Brad Dunkley and Blair Levinsky’s Waratah Capital Advisors and Israel Englander’s Millennium Management. As industrywide interest jumped, specific money managers have jumped into Equity Lifestyle Properties, Inc. (NYSE:ELS) headfirst. Driehaus Capital, managed by Richard Driehaus, assembled the most valuable position in Equity Lifestyle Properties, Inc. (NYSE:ELS). Driehaus Capital had $3.4 million invested in the company at the end of the quarter. Matthew Hulsizer’s PEAK6 Capital Management also made a $2.2 million investment in the stock during the quarter. The only other fund with a new position in the stock is Michael Gelband’s ExodusPoint Capital. Let’s go over hedge fund activity in other stocks similar to Equity Lifestyle Properties, Inc. (NYSE:ELS). These stocks are Mohawk Industries, Inc. (NYSE:MHK), Newell Brands Inc. (NASDAQ:NWL), New Oriental Education & Tech Group Inc. (NYSE:EDU), and Wheaton Precious Metals Corp. (NYSE:WPM). This group of stocks’ market valuations resemble ELS’s market valuation. As you can see these stocks had an average of 27 hedge funds with bullish positions and the average amount invested in these stocks was $1021 million. That figure was $547 million in ELS’s case. Mohawk Industries, Inc. (NYSE:MHK) is the most popular stock in this table. On the other hand Wheaton Precious Metals Corp. (NYSE:WPM) is the least popular one with only 21 bullish hedge fund positions. Compared to these stocks Equity Lifestyle Properties, Inc. (NYSE:ELS) is even less popular than WPM. Considering that hedge funds aren’t fond of this stock in relation to other companies analyzed in this article, it may be a good idea to analyze it in detail and understand why the smart money isn’t behind this stock. This isn’t necessarily bad news. Although it is possible that hedge funds may think the stock is overpriced and view the stock as a short candidate, they may not be very familiar with the bullish thesis. Our calculations showed that the top 15 most popular stocks among hedge funds returned 21.3% through April 8th and outperformed the S&P 500 ETF (SPY) by more than 5 percentage points. Hedge funds were also right about betting on ELS, though not to the same extent, as the stock returned 19.6% and outperformed the market as well. Did Hedge Funds Drop The Ball On Kansas City Southern (KSU) ? 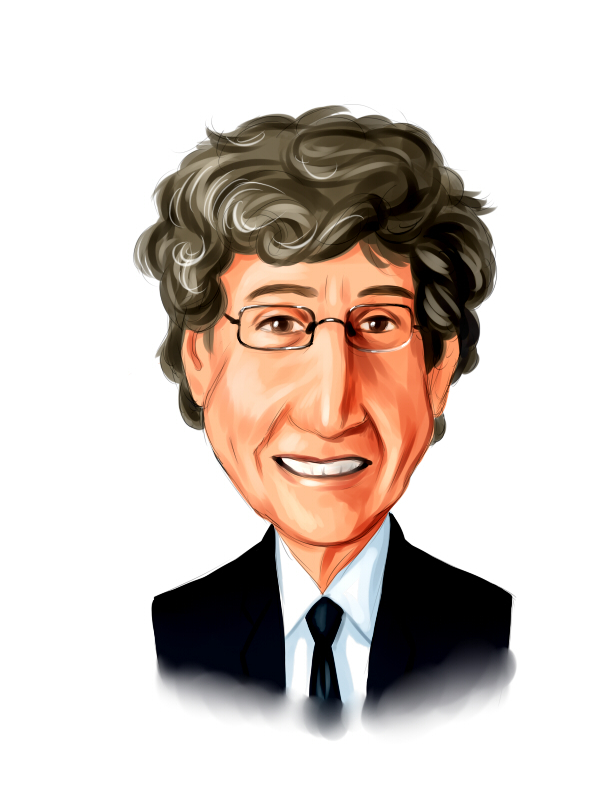 Here is What Hedge Funds Think About Jack Henry & Associates, Inc. (JKHY... Here’s What Hedge Funds Think About IDEX Corporation (IEX) Were Hedge Funds Right About Souring On WestRock Company (WRK) ? Here’s What Hedge Funds Think About The Gap Inc. (GPS) Were Hedge Funds Right About Flocking Into Altice USA, Inc. (ATUS) ?